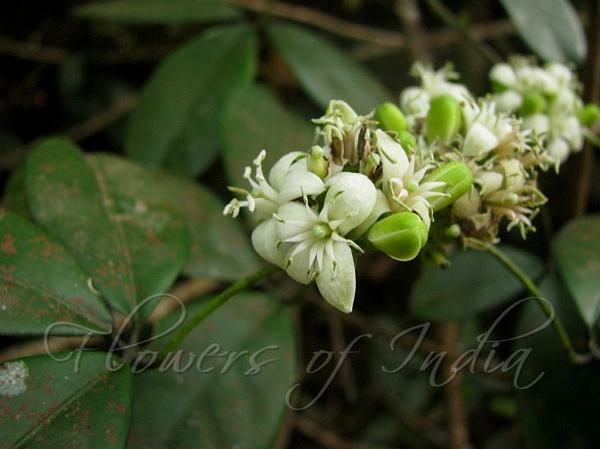 South Indian Lavang Lata is a large thorny climber of the Western Ghats. It is also found on the Balaghat and Ajanta hills of Aurangabad. 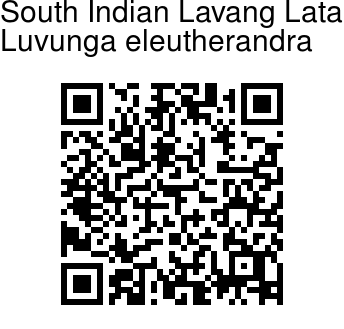 It is closely related to Lavang Lata. Branches are long, flexuose, set with stout, sharp, woody, often deflexed thorns. Leaves are trifoliate. Leaflets are 3-8 inches long, elliptic, or elliptic oblong. Flowers are white, fragrant, in hairless axillary fascicled racemes. Berry is spherical, about 2 cm in diameter.